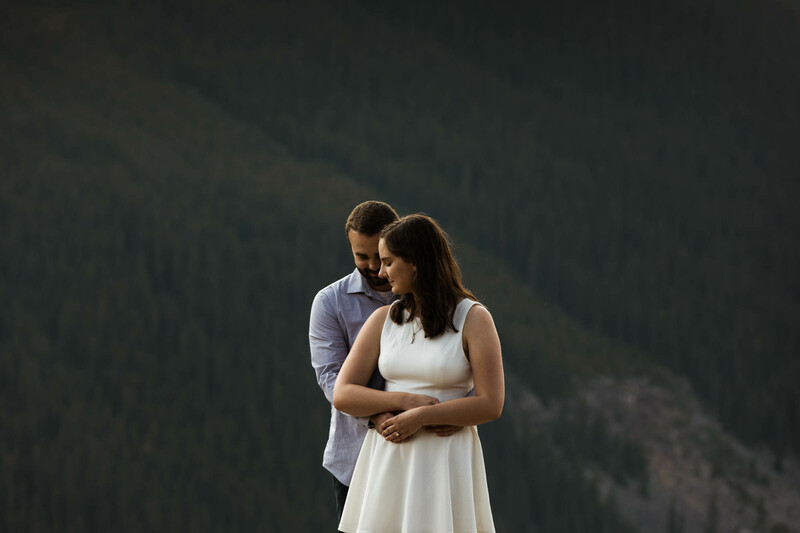 Katie and John were one of the most fun and easy-going couple’s we have had the pleasure to photograph. 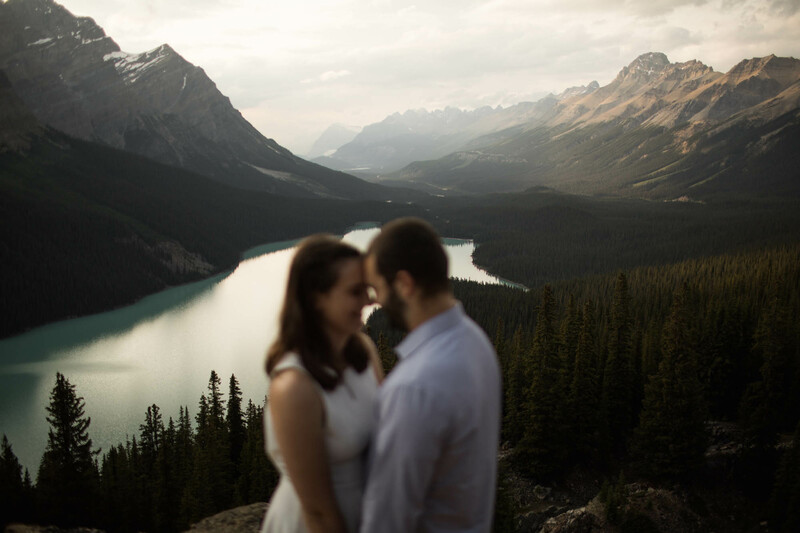 From the moment we met them they felt like old friends. 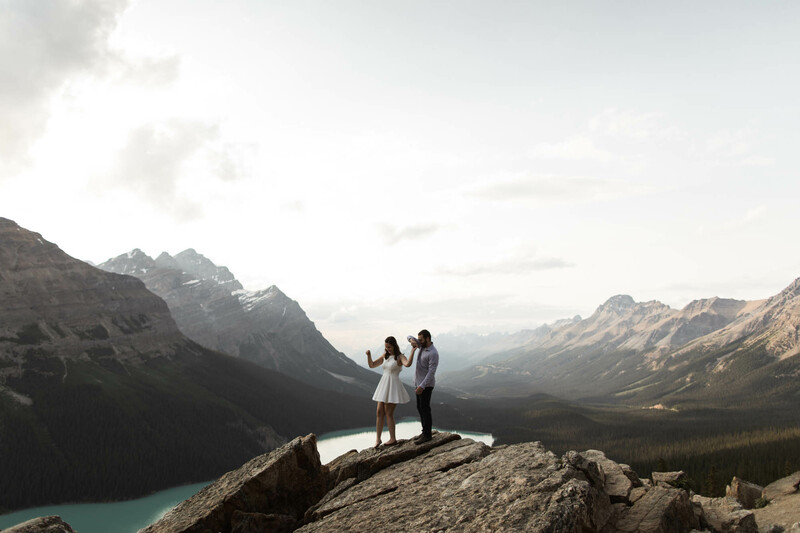 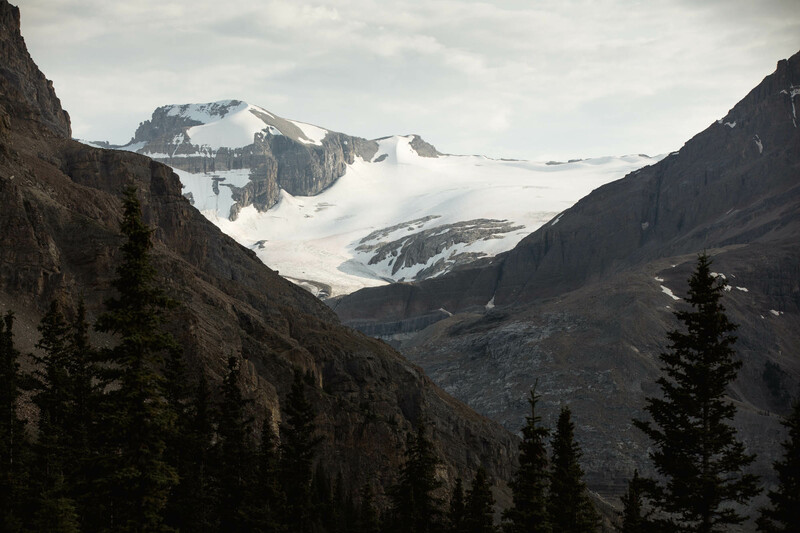 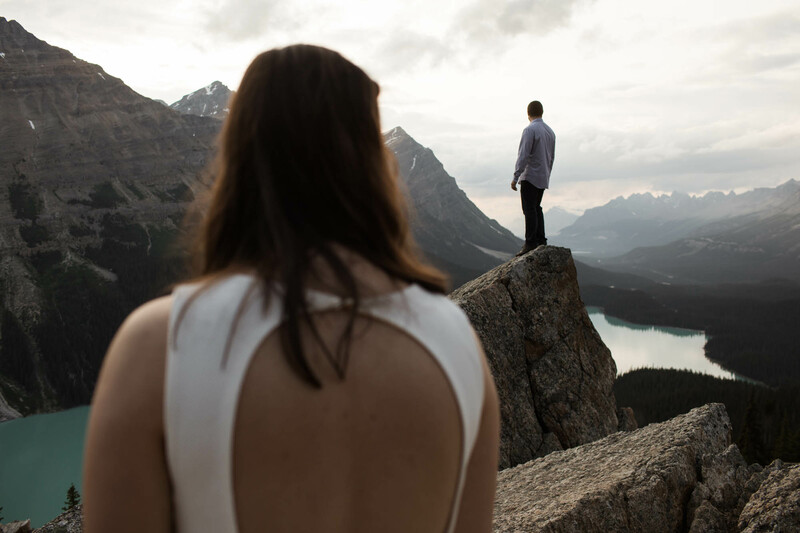 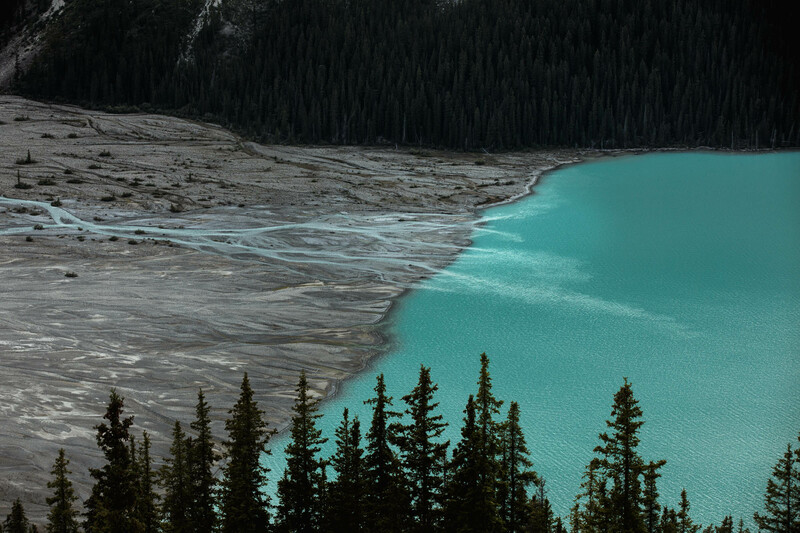 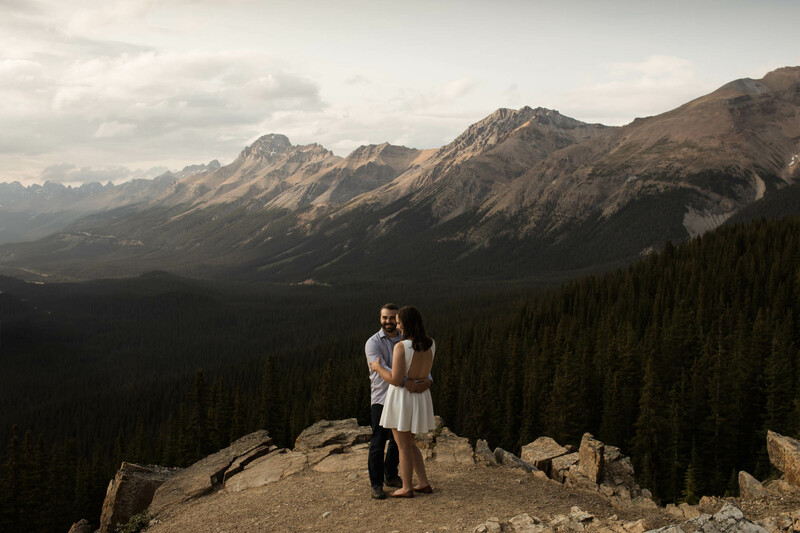 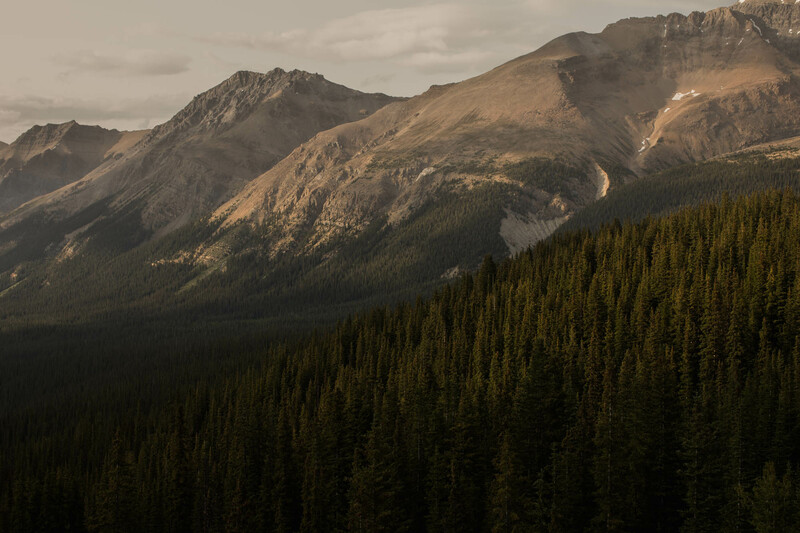 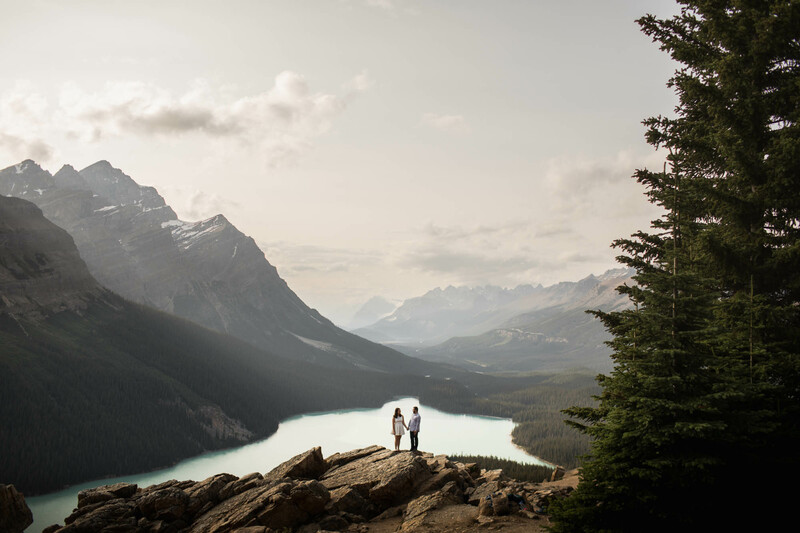 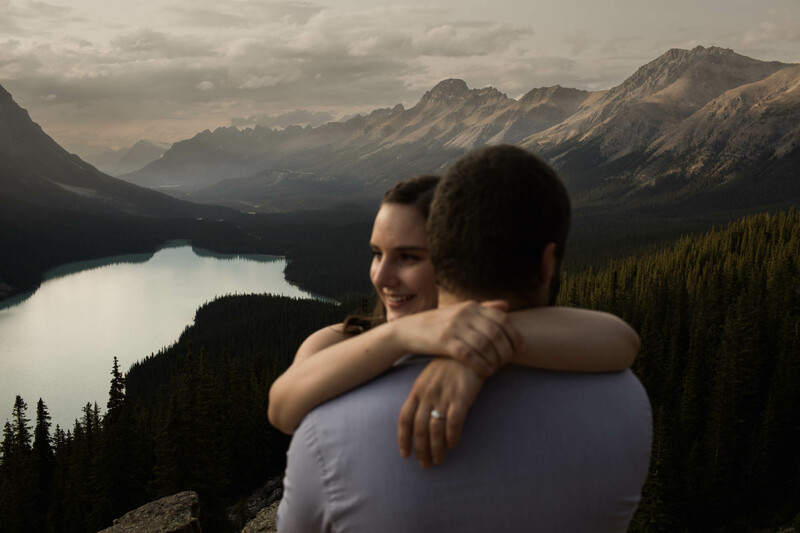 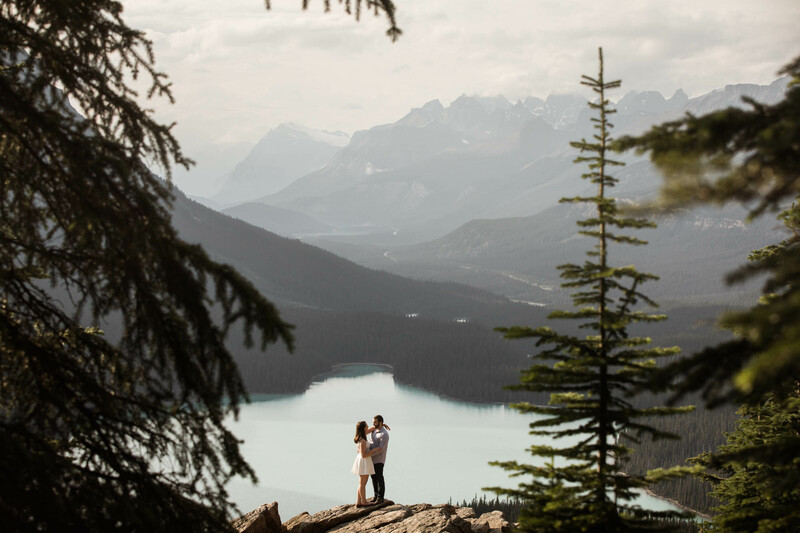 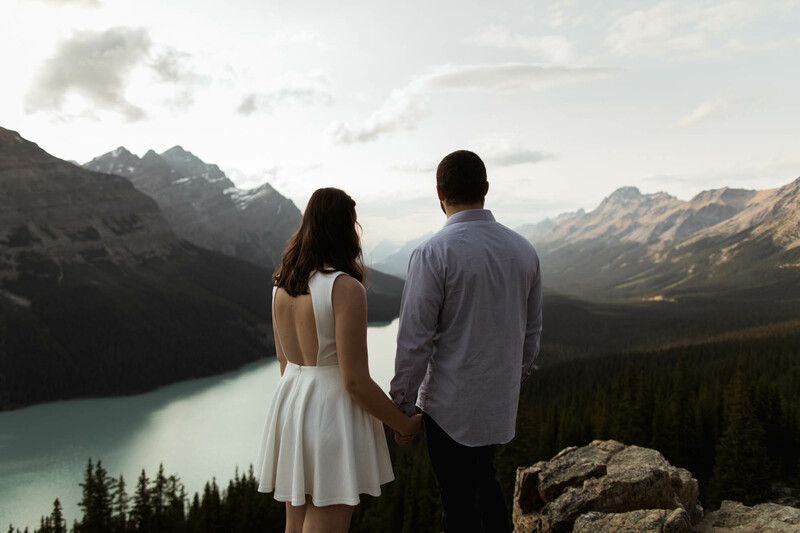 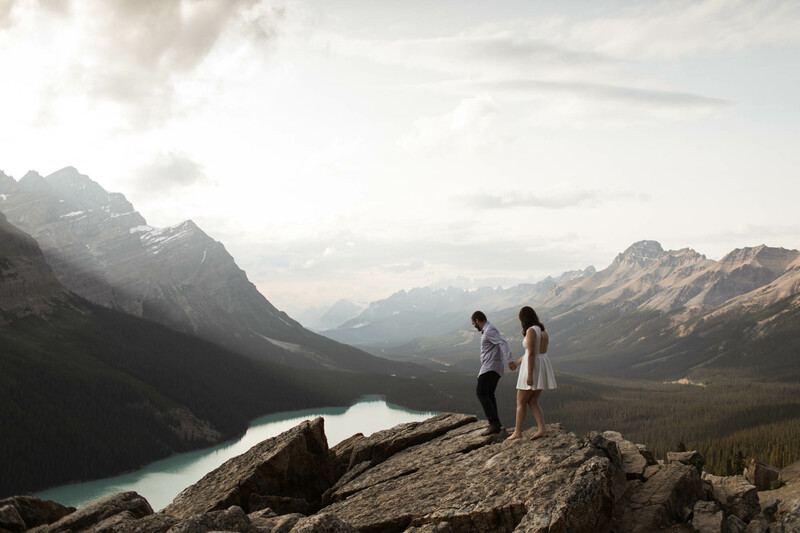 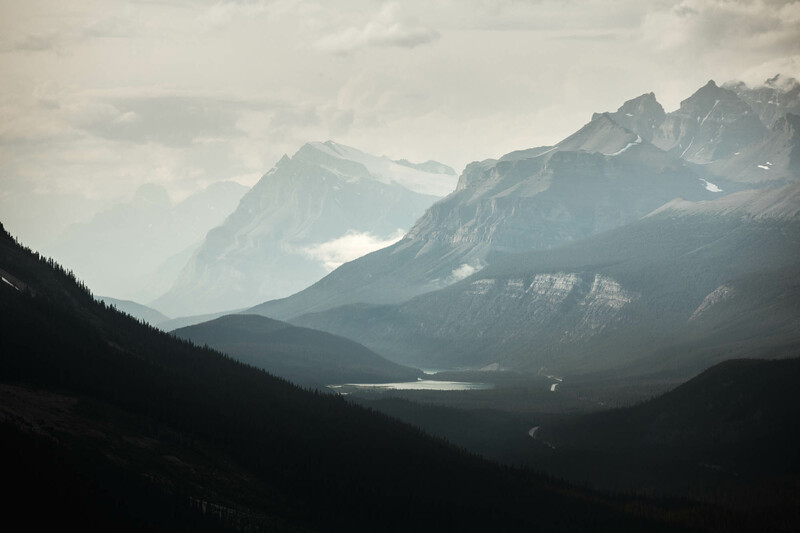 They were traveling through the Rocky Mountains for the first time together and we were excited to photograph their engagement session in one of our favourite locations, Peyto Lake. 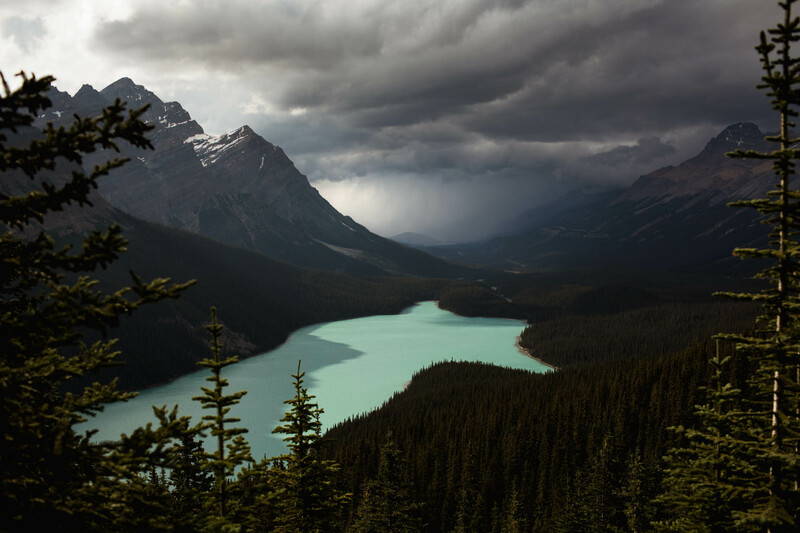 As we were driving out in the rain we weren’t too sure if we would get a clear view of the valley but when we got to our destination we had front row seats to the storm rolling through the mountains. 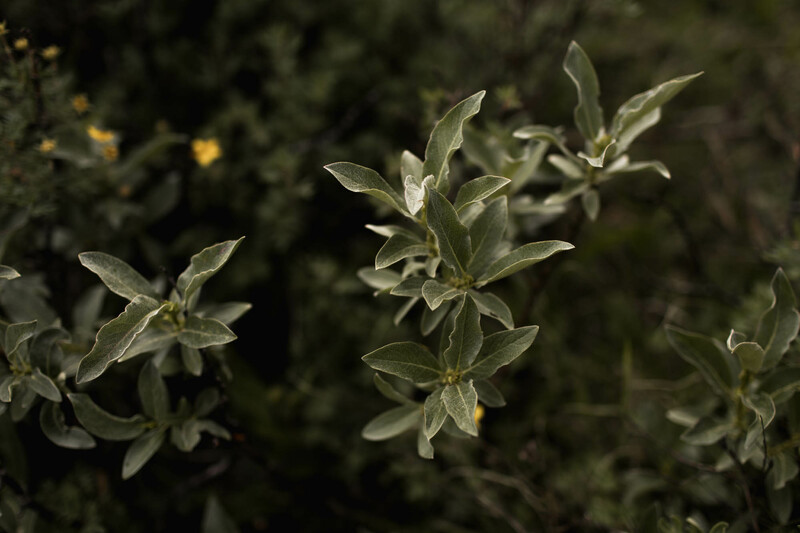 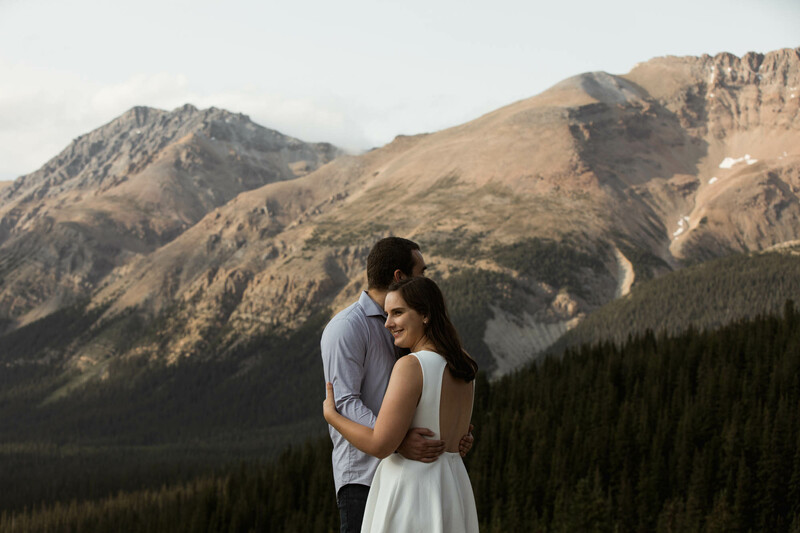 As the rain drifted west, the skies opened and we welcomed the soft light as we hopped around the rocky terrain. 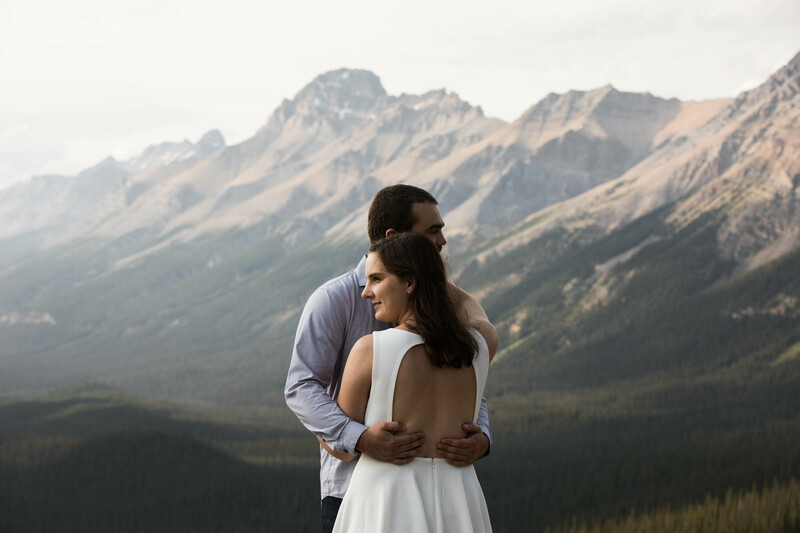 We can’t wait to photograph these two again in the winter for their wedding in Banff!